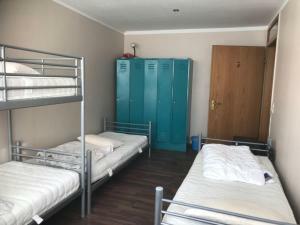 Modern rooms and dormitories with free Wi-Fi are featured at this hostel, located just a 5-minute walk from Westend S-Bahn Train Station in Berlin’s Charlottenburg district. There is a shared kitchen for guests to prepare their own meals. Several cafés and restaurants can be found in the area. 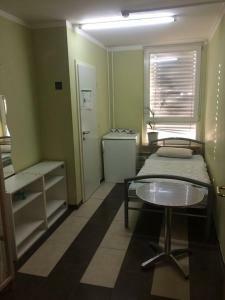 The colourful rooms and dormitories at Bedstop have a shared bathroom in the hallway. Guests are welcome to relax in the shared lounge. Free parking is provided at this hostel. The pretty Charlottenburg Palace and Gardens are a 10-minute walk away, as is Lake Lietzensee. Please note that towels/linens are not included at the hostel. 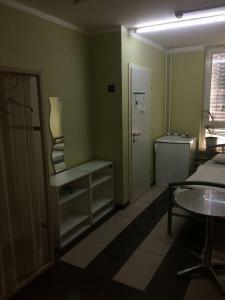 Guests may bring their own towels/linens or rent them at the accommodation. Sleeping bags are not allowed. Please inform Bedstop Hostel Berlin in advance of your expected arrival time. You can use the Special Requests box when booking, or contact the property directly with the contact details provided in your confirmation. 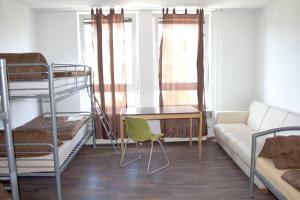 Single bed in a brightly decorated room with free Wi-Fi, a work desk and small seating area. A safety deposit box can be found on the same floor. 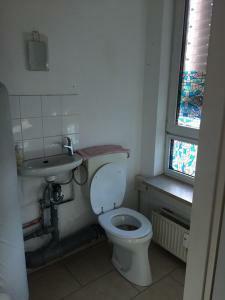 Offers access to shared bathroom facilities. Designed in bright colours, the room offers use of a shared bathroom.